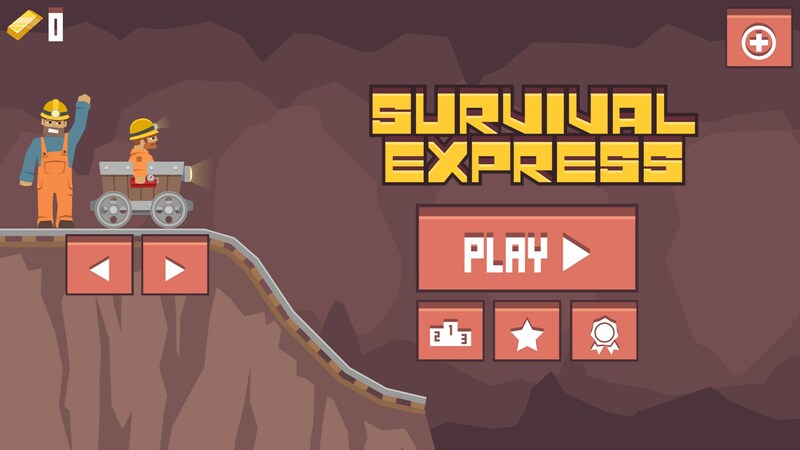 Survival Express – Games for Android 2018 – Free download. Survival Express – A quirky timekiller. 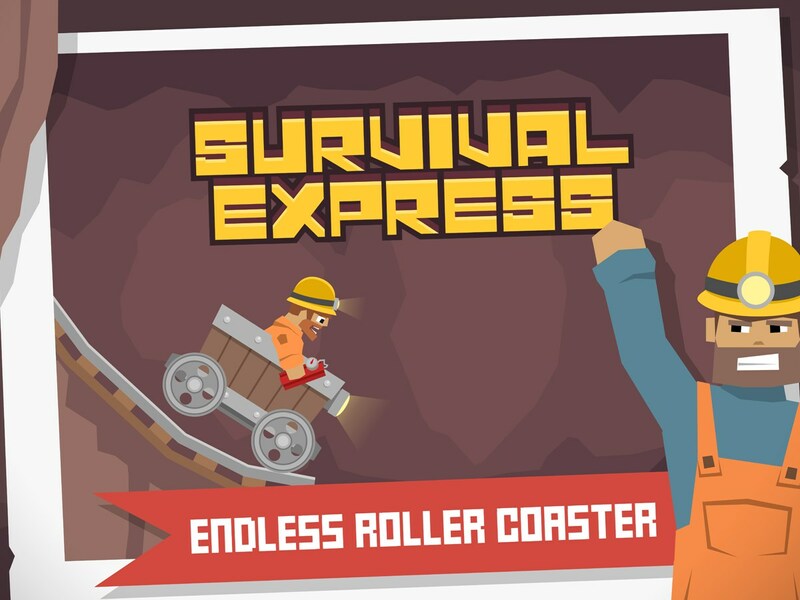 Survival Express for Android is a fun timekiller game that takes you into the lives of a coal miner as he rides a mine cart through deep, dark caves. 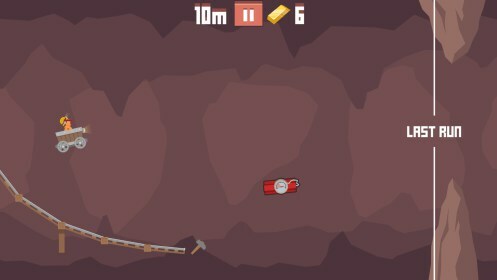 You must control the path of the cart tracks and keep the miner out of harm's way. 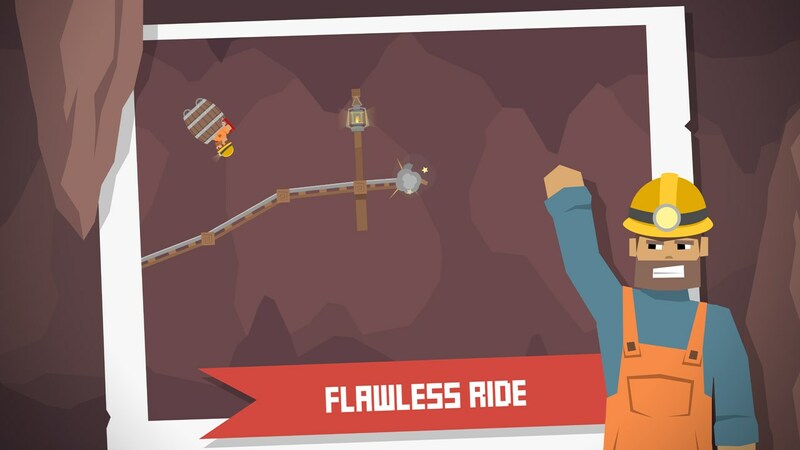 This game is features an endless game mode that keeps playing out until you hit an obstacle. The objective of this game is to survive for as long as possible whilst picking up gold bars along the way. There will be plenty of cave formations and other dangers such as dynamite that must be avoided. 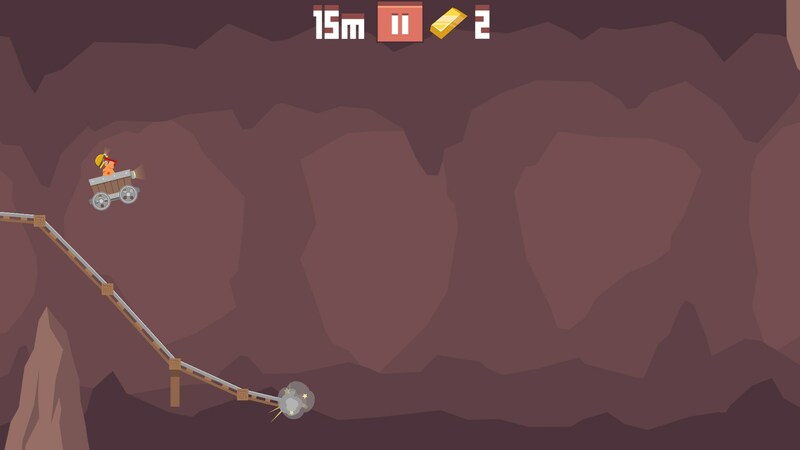 To play this game you simply hold your finger on the screen and drag it up and down and a mine cart will follow your finger. 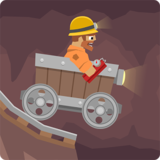 The coal miner will then ride along the track you have created. 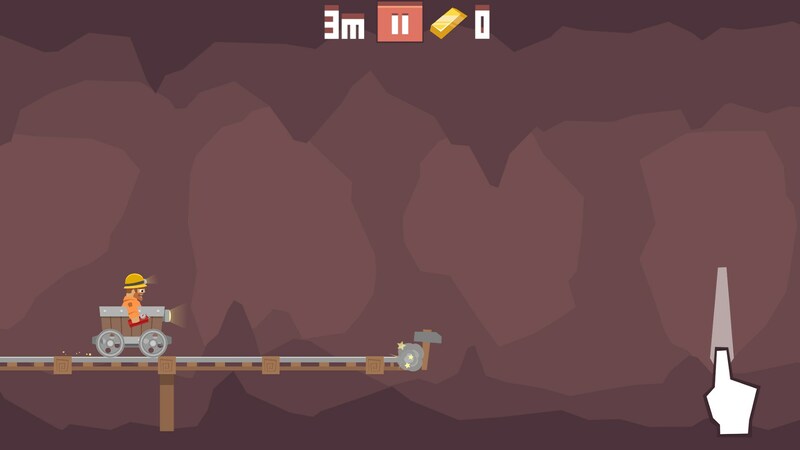 Because the miner is riding the mine cart pretty fast, you will need to quickly build the mine cart track on the fly, reacting fast to any obstacles or TNT that comes your way. 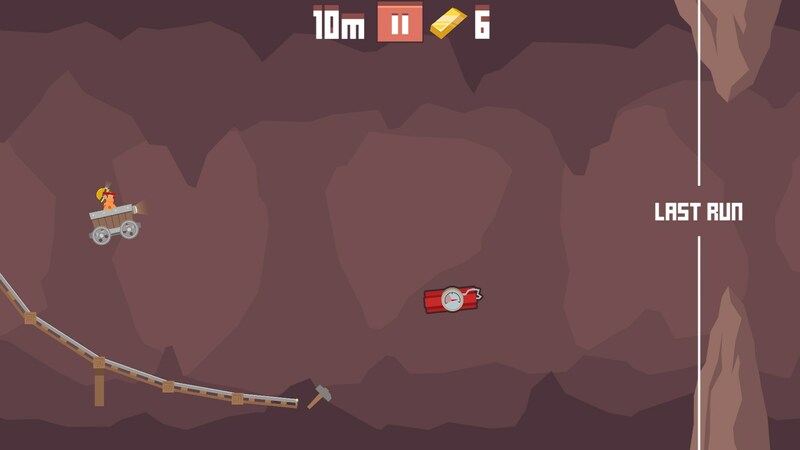 This game features really good physics that make every bump and drop in the track to cause the miner to fly off the track. You need to be careful your track isn't too dangerous to ride on, but you'll need to quickly move it away from the obstacles. When your miner hits an obstacle you will be able to return to the main menu. From here you can replay the game or purchase new mine carts by using the gold bars you have collected from the game. 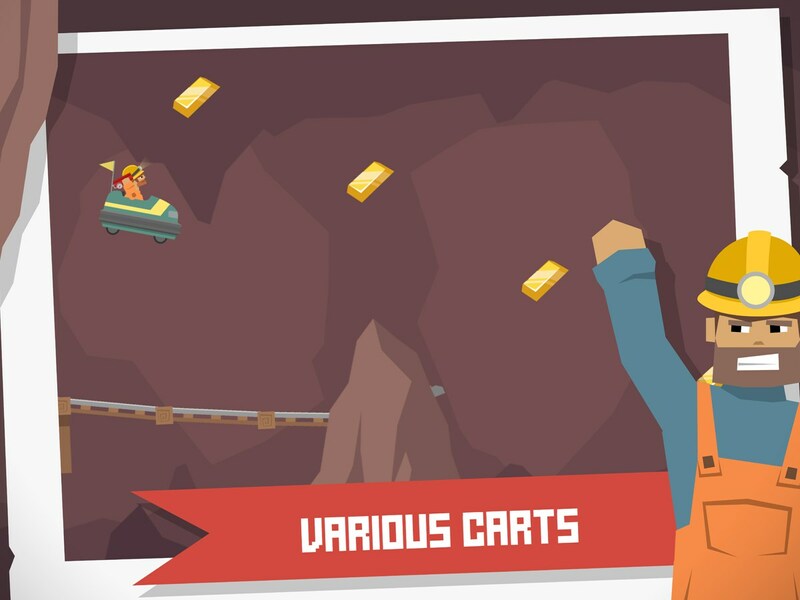 Survival Express is free to play, but there are in-app purchases that can used to acquire the mine carts easier. I'm afraid that we cannot download the app for you, but using the "Free Version" link, found above the review you can download it on your own.